Clean, New & Secured Our 8th storey facilities are very clean and well-maintained, quiet and exclusive, no curfew and no flood. 24 hour security guard on duty. 100 rooms for you to choose from. Rental parking is available. fee. You can also provide us ingredients and we cook for you. Choose from our short order menu or drop by at our mini canteen or convenience store for cooked foods and snacks 24 hrs a day. Price starts at 20 pesos. Feel at Home & Extras Our beds are made of first class hardwood materials with high quality uratex foam for your sleeping convenience. Drop by at our convenience store for anything you may have forgotten to bring, or rent lockers and dvds at our rental department. Also, self-service laundry and dryer available for instant washing of your clothes. Business & Recreation Computer rentals are now available for rent for a minimal fee. 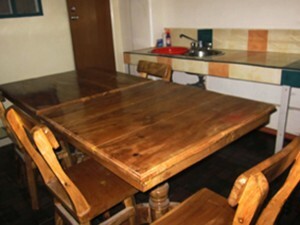 Please check our facilities page for all other services. VALUE for Money Supersavings! 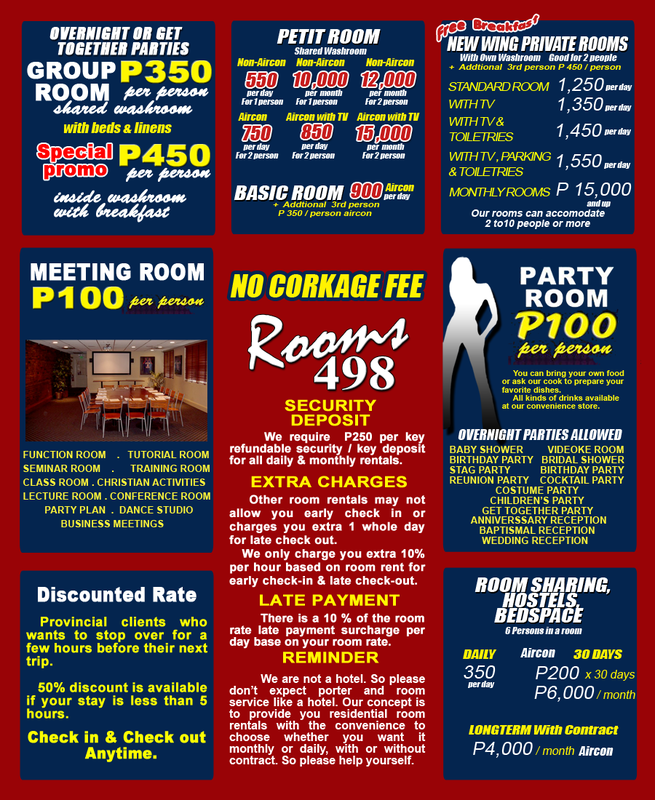 From 350 per person per day right at the center of Metro Manila. Save a lot for group reservations. 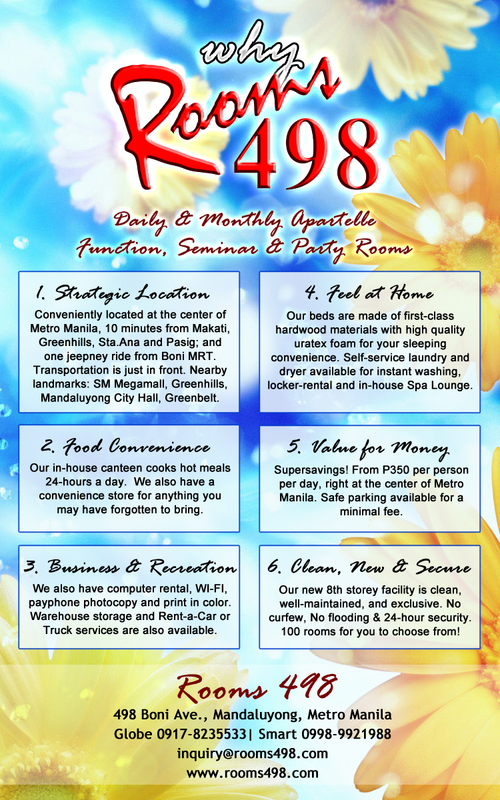 ROOMS IN MANDALUYONG, ROOMS IN MAKATI, ROOMS IN MANILA, ROOMS IN ORTIGAS, WHATEVER YOU CALL US… WE HAVE ROOMS FOR YOU COZ WE ARE JUST 11 MINUTES AWAY FROM MAKATI AND ORTIGAS BUSINESS DISTRICT..,. At present , As shown in the picture, it is a four storey condo townhouse. We have 40 new and clean rooms with 35 toilets and showers.. So, you do not have to cue when you want to use the toilets. i am sure you will like our rooms . with or with out own toilets.